Just when it looked like we wouldn’t be having many midweek fixtures, two come along within a week! To be honest, I doubt many of those watching at the Cheshunt Stadium last Saturday around 4.20pm would have envisaged we would be staging a replay but that’s the beauty of the FA Cup and a sterling fightback from the Blues not only forced a replay, but a second bite at that £6000 prize plus the opportunity of a home tie in the next round against Hastings United. Tuesday's visitors, the Ambers, play a League lower than the Blues in the Bostik League Division One South Central. 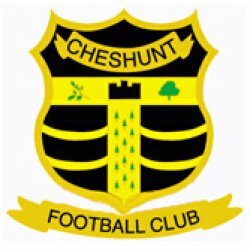 During the 2011/2012 we faced Cheshunt twice and on both occasions were victorious 2-0. The Ambers are managed by former Billericay Town and Kingstonian boss Craig Edwards who kept up his record of having never been beaten by Leiston at home with either Billericay Town or Kingstonian on Saturday. Included in the visitors squad is striker Ricky Sappleton who scored one of the Billericay Town goals that defeated the Blues in the FA Cup First Qualifying Round back in 2013, the last time Leiston were defeated in the First Qualifying Round. Tuesday night is the Blues 67th FA Cup tie with five of those ties going to home replay’s. The Blues have suffered home replay defeats to Gothic (1946) and Brook House (2005) but have tasted victory over Stoke United (1948), Felixstowe & Walton United (2004) and the last home replay saw a 2-1 victory over Folkestone Invicta in September 2010 who at the time were two League’s higher than the Blues. After Saturday's entertaining match I am sure we will be in for another thrilling contest at Victory Road on Tuesday night.